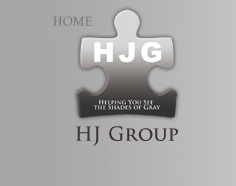 HJG Language Solutions specialises in fast, accurate, ready-to-publish, Japanese to English translation. Our many years of experience in manufacturing, marketing, electronics, medical research, and the social sciences ensure high-quality translations, on-time and within your budget. HJG Language Solutions also offers Japanese-to-English interpretation services, anywhere within the Lower Mainland of British Columbia - or anywhere you need us to be. Employers are looking for more than qualifications and experience. They need to know whether potential or existing employees have the practical language skills to do the job. Speaking ability can make or break a job seeker's chances of getting jobs they are qualified for. The LPI Speaking Proficiency Assessment is the best tool available for assessing practical speaking ability - whether you're an employer looking for qualified employees, an international professional trying to get an edge in the job market, or a student preparing for a high-stakes language test! 1. What is the LPI Speaking Proficiency Assessment? A 10- to 30-minute interview that assesses a non-native speaker’s oral English proficiency, using the same criteria that underpin the scoring system for the TOEIC® Speaking Test and the Canadian Language Benchmarks. Written follow-up with specific advice on how to practice to improve practical speaking ability. 2. How does the LPI Speaking Proficiency Assessment help to prepare for an interview? It provides an accurate picture of practical speaking skills. It helps job seekers., ESL students, and their instructors efficiently and effectively structure study and practice to move them from where they are now to where they want to be. 3. What is the LPI Speaking Proficiency Assessment based on? Reliable - The FSI has been tested and demonstrated to be reliable over more than 60 years of use and research with the Foreign Service Institute, the Peace Corps and ETS, the makers of TOEFL, TOEIC, GMAT, and other proficiency tests. Minimum proficiency for survival in an English-speaking environment. Candidate functions in simple question-and-answer situations and is able to satisfy ordinary courtesy requirements (hello, goodbye, please and thank you) and can ask and answer questions related to simple situations of daily life and travel abroad. Uses the simplest grammatical structures, but still often makes errors. Vocabulary is limited to survival situations with frequent errors in word choice. Pronunciation is poor, but makes minimum contrastive distinctions, including stress and intonation patterns necessary to be understood. Understands simple questions and statements related to survival situations in daily life and travel abroad. Requires slowed speech and frequent repetition and paraphrasing. Candidate can speak in some detail about concrete (as opposed to abstract) subjects within his or her own experience, such as educational background, family, travel experience, recreational activities, and familiar places. The candidate can fully participate in casual conversation and express facts, give instructions, describe, report and provide narration about present, past, and future activities. Candidate joins sentences in limited, but coherent conversation. The candidate shows good control of the most common grammatical structures and has a broad enough vocabulary to talk with confidence about the content described above. There may be some gaps in vocabulary leading to groping for words or periods of silence. Pronunciation may be dominated by foreign intonation and rhythm, but candidate should be understood by an English speaker not used to dealing with non-native speakers. Candidate can understand questions and statements about common social topics, spoken at normal conversational speed. Can more or less follow conversations about topics such as current events, with occasional repetition or paraphrasing. In addition to everything at level 2, the candidate can talk about a wide range of topics, including abstract subject matter, such as current events, and general political and social problems. The candidate can also express opinions and give advice of a general nature. The candidate has good control of grammar, with some errors in low-frequency or complicated constructions. Vocabulary is broad enough to address the subject areas above without groping for words or long pauses. The candidate speaks fluidly and without hesitation. Pronunciation may reflect a foreign accent or rhythm, but it is not dominant. The candidate understands almost everything at a normal conversational speed and can mostly comprehend more formal discourse, such as panel discussions, newscasts, etc.